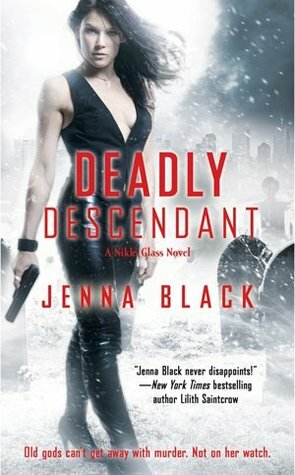 Thanks to Simon & Schuster I have 3 copies of Deadly Descendant by Jenna Black to offer you! It’s the sequel to Dark Descendant, which I own but haven’t read yet *shame on me* but I think it looks awesome! Oooh, an Egyptian myth-based paranormal series! Thanks for sharing and the giveaway chance! So adding to my reads-list! Wow! I really want this book. It sounds fantastic! I loved book one and had no clue the second in the series was about to come out. Can't wait to read it. Thanks for the chance to win a copy. Sounds like a great book. I have book one, but I haven't read it yet. Thanks for the giveaway. I just read the first book and now I'm dying for the second one. Thanks for hosting this contest. So many great books, so little reading time. Another author on my wishlist. Did you read her other series as well? I love the cover of this book. I have heard good things about this series and I have to first book on my TBR shelf. Thanks for the giveaway. I love everything Jenna Black has written. This might be my favorite thing she has written. If you've never read her, I highly recommend this series. Also, if you like the Fae, she has a great YA series called Glimmerglass that I would recommend also. Wow! that's what the words coming after reading the book. Nothing at all aside from that, then followed by a heavy chit-chat. Clever friends.